Ask our special manager all the questions that you have when you use our site. She will help you to understand better how to use the site, how to find a beautiful Russian bride. Be active- show yourself as a confident and energetic man as you certainly are. Write letters. The best number is 40-50. It will allow you to see who youare comfortable with, who will be interested in you. Why do women register to the agencies? Why are they looking for a husband abroad? Mostly the reason for Russian girls to register to the sites is to have more chances to find their life partner. 3. Many Russian men are not good fathers and it hurts women. They want to care together for their child, to love, to think. But men in Russia prefer to put all the care on women's shoulders. 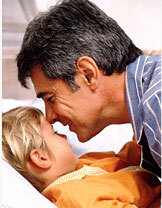 American men are more caring to their children and not to only their children. A woman can hope that if she marries an American he will be a good father to her child and to their own one or two more children. Flexible settings - you can many useful settings on the site. You can hide yourself for the time you want nobody to see you in the gallery (only those to whom you write). You can make settings so that not to receive winks, postcards or ice-breaks, only messages. You can command if you want to receive notifications about new messages or not.